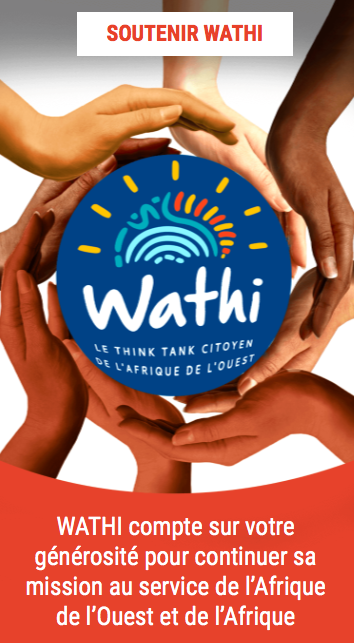 WATHI propose une sélection de documents sur le contexte économique, social et politique au Ghana. Chaque document est présenté sous forme d’extraits qui peuvent faire l’objet de légères modifications. Les notes de bas ou de fin de page ne sont pas reprises dans les versions de WATHI. Nous vous invitons à consulter les documents originaux pour toute citation et tout travail de recherche. Ghana is characterised as a ‘competitive clientelist’ type of political settlement, in which two parties – the National Democratic Congress (NDC) and the New Patriotic Party (NPP) – have consistently challenged each other in national elections. In this context, the incentives of ruling elites can become loaded towards the use of public institutions in politicised ways to secure short-term gains. This has implications for the education sector in Ghana, which has historically been seen by its ruling elites as critical, both to their means of staying in power through increased legitimacy and to their ideas of promoting national development. Education sector reforms in Ghana over the past three decades have, on paper at least, focused on the twin imperatives of improving the quality and quantity of education. However, the focus on quality appears to have been outweighed by the political imperatives of providing more tangible goods via the access agenda. Ghana has performed less well in terms of securing outcomes: 75% of those leaving school after five to six years could not read and the youth literacy gap between rich and poor is 50% (UNESCO, 2014). The frequency of reforms has increased under heightened electoral competition, at the expense of both coherence and technocratic control. Decentralisation reforms, such as the 2008 Education Act, have created new mechanisms and structures to empower regional-, district- and school-level stakeholders to play an active role in managing and improving education service delivery. However, these reforms appear not to have achieved the desired effects: a 2008 CDD-Ghana survey suggests the national average for teacher absenteeism was 27% and another study found that only 70% of available instructional time is used for engaging students in learning activities. The education sector in Ghana needs to be understood not only in a technical sense, but as a domain of resource allocation that plays a political as well as a developmental role. Incentives for politicians to directly influence the sector have increased, as became apparent under conditions of tight electoral competition in the 2000s, when the President ordered his own presidential review of the sector, despite an official education sector working group strategic review (2003-15) having already been commissioned. Moving resources from popular, if inefficient, subsidies (e.g., trainee teacher allowances), towards more quality-focused expenditures risks upsetting influential constituencies such as political elites, political parties and unions, and has been avoided. • The centralised and decentralised dimensions of educational sector governance in Ghana need to be re-aligned, so that they are mutually supportive. This could include generating greater oversight of the Ghana Education Service at district level, whilst being careful not to undermine its high levels of technical competence. • Different configurations of politics and power at district level create different conditions for reform, and a good understanding of political dynamics at district, and even school, levels is required for interventions to be relevant. • Where developmental coalitions are in place, these should be nurtured and invested in, even where their operation seems at odds with ‘best-practice’. This includes supporting the role of politically-salient stakeholders, such as teacher associations, parent teacher associations (PTAs) and school management committees, as well as the capacity of bureaucratic actors. Over the period of assessment in performance statistics from 2013/14 to 2014/15, national enrolment in basic education showed a marked increase in absolute enrolment numbers. Enrolment increased by 7.4%, 5.5% and 8.0% for KG, Primary and Junior High Schools respectively. A corresponding increase in gross enrolment rates (GER) was noted by 5.8, 3.1 and 3.4 percentage points for KG, primary and junior high schools respectively. Net enrolment rates (NER) for the basic level showed a reduction for KG and junior high schools. With reduction in NER and increases in GER, there is the clear indication that more children outside the KG statutory age that are out of school are accessing education. Primary level showed improvements in both GER and NER indicating that as more children get mainstreamed, the appropriate primary age pupils are also returning to school. Private sector share of enrolment at the basic schools continues to take a significant proportion, with around 1 of every 4 to 5 pupils in basic schools enrolled in a private school. Development of new settlements around the Metropolitan and Municipals, especially in Greater Accra and Kumasi has not seen the establishment of public basic schools.This leaves the growing population the option of accessing the growing private schools. The Complementary Basic Education programme, which provides nine-month tuition in literacy and numeracy using the mother tongue and targets 120,000 out of school children, has received a boost of an additional USD 14 million from USAID. This will go toward expanding the programme to include an additional 80,000 children bringing the targeted number to 200,000 by the end date of 2018. Education Sector Performance Report 2015 x Currently, the over 24,000 children enrolled in the first cycle, which represented about 90 percent transitioning into the formal school system. In 2014/15, an additional 55,000 have been enrolled and are expected to graduate by the end of July 2015. The next cycle (third) is expected to commence in September with an enrolment of 45,000. As part of efforts at improving the delivery of education especially in the deprived areas, government continues with the provision of permanent physical infrastructure to replace dilapidated ones under the schools under trees project. Churning of trained teachers from the nations’ Colleges of Education and the teaching universities have resulted in sustained increases in the percentage of trained teachers. There has been an increase in percentage of trained teachers across all levels of basic education compared to 2013/14 with a 14% increase in KG, 5.6% increase in Primary, and 4% increase in JHS. The percent of trained teachers at each level has also increased and now stands at 47% in KG, 56% in Primary, and 78% in JHS. In the Basic Education Certificate Examination (BECE), of the 422,946 JHS3 students who sat the exam, more boys than girls achieved above average scores in all the core subjects except English. The Ghana Partnership for Education Grant (GPEG) underwent a Mid Term Review in 2015. In 2014 an amount GHC 76,432,637.02 was spent, equivalent to 96.5% of the 2014 GPEG budget. At the end of the second year, all of the indicators in the Results Framework were on course and the first and second year targets were met, with only one exception where regions did not submit aggregated reports of district information. The Girls Participatory Approach to Student Success (GPASS) programme has also expanded in 2014/15 to all the 75 deprived districts, covering 45,000 girls. SECOND CYCLE EDUCATION Enrolment in second cycle education has continued to increase resulting in an increase in the GER by almost two percentage points, reaching 45.6% in 2014/15. 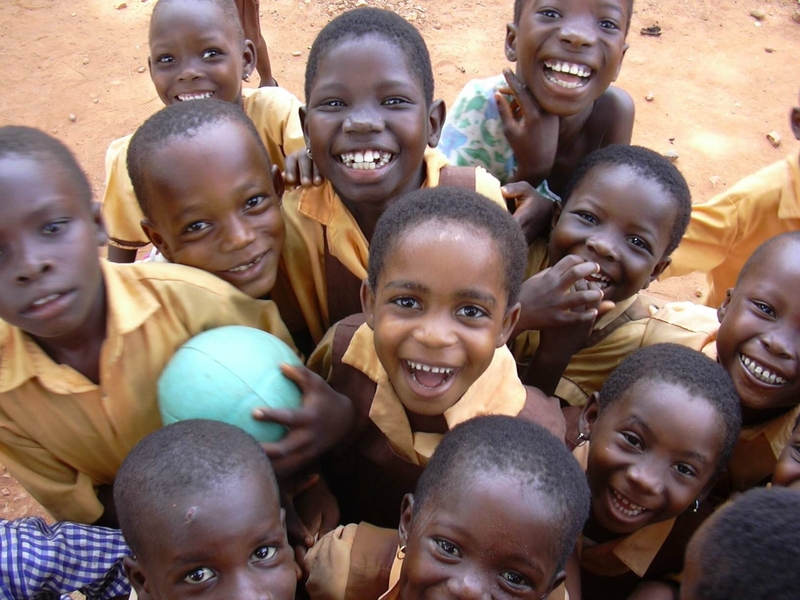 The NER has also increased from 2013/14, indicating that more children of the appropriate age are enrolled in SHS. Private participation has declined, indicating that a greater proportion of students are enrolling in public schools. Greater capacity for the increased enrolment is demonstrated through a corresponding increase in number of schools, with both the number of private and public schools having increased compared to 2013/14. The Ministry is also working to expand access through progressively free SHS, by subsidising the cost of education for day students starting in 2015/16. In addition, under the Secondary Education Improvement Project (SEIP), 10,400 scholarships will be rolled out over five years for SHS students in 125 low-performing schools. Total number of schools stands at 863 compared to 840 in 2013/14. In addition, the Community Day Senior High School Project (CSHSP) seeks to build 200 new SHS, 50 of which are already underway and funded by GoG, with an additional 23 being funded by SEIP. Gender statistics have improved somewhat since 2013/14. The proportion of females enrolled has increased to 47.4% although the GPI has remained untouched at 0.91. Female completion rate has also improved and stood at 42% in the 2014/15 academic year. Quality outcomes are less clear. On the one hand, student to seating and student to desk ratios have improved almost approaching 1. The percentage of trained teachers has also improved. On the other hand, however, textbook to student ratios have declined for English, Mathematics and Science subjects. However, under SEIP, a range of quality initiatives are being put in place for 125 lowperforming SHS from ICT packages in classrooms that provide an interactive way to engage with classroom materials, to training for Science and Math teachers in lesson delivery and content, to School Performance Partnerships which give out USD 120,000 to each school over five years to enable them to improve quality and access in their schools. Over 270,000 students registered for WASSCE exams, with students performing better in English and Social Studies subjects out of the fore core subjects. Girls outperformed boys in English, while boys performed better in the remaining three core subjects. Brong Ahafo outperformed all other regions for Mathematics, Integrated Science, and Social Studies, with Greater Accra also performing highly across subjects. In Ghana, for example, men have over two more years of education than women, and score over 40 points higher on a 500 point literacy scale. More broadly, disparities in advanced economies across the world are lower, with men averaging 0.25 years more of education, compared to one year more among developing countries. In Ghana, research using four rounds of DHS (1993/94 to 2008) found that halving water fetching time increased school attendance by 2.4 percentage points, on average, among girls aged 5 to 15, and the impact was stronger in rural areas. In recent years, more education is associated with a lower likelihood of HIV prevalence in many countries in sub-Saharan Africa, including Cameroon, Ghana, Kenya and Tanzania. In Ghana, despite increases in women’s education and female labour force participation overall, women’s wage employment stagnated. Unemployment for women rose, as did informal economic activity and self-employment, although more years of education increased chances of wage employment. However, in recent decades, public sector employment in Ghana has declined while education levels have risen. As a result, women above 50 in the formal sector worked in public sector jobs that provide more pay, but half of women aged 18 to 29 worked in the private informal sector with insecure incomes. This suggests that to empower women, education reforms must be matched with better access to public sector jobs or laws ensuring that private formal and informal sector employers provide decent work. In Brazil, Ghana and the United States, bullying has been shown to increase absenteeism. In Ghana, institutional training, employment opportunities and industry needs are reportedly mismatched. Parliament established a council for technical and vocational education in 2006 to reform the sector, with representation from nine ministries and state partners. However, the council was placed under Ministry of Education control, which led to rivalries and hindered collaboration. In Ghana, there is a surplus of about 3,000 professionals in management and finance in the water sector but a shortage of 280,000 technical staff in the sanitation sector if full service coverage is to be achieved. The more stigmatized sanitation sector is unable to attract professionals and those willing to work in rural areas. Language: The sole official language of instruction throughout the Ghanaian educational system is English. Students may study in any of eleven local languages for much of the first three years, after which English becomes the medium. Students continue to study a Ghanaian language as well as French as classroom subjects through at least the ninth grade. All textbooks and materials are otherwise in English. Senior Secondary School/Senior High School: 375,000 Ghanaian students take the Basic Education Certificate Examination (BECE) at the end of JHS Form 3 (ninth grade) in seven subjects. Admission to Senior Secondary/High School is competitive: only 150,000 students can be admitted into the 500 public and 200 private national secondary schools. The vast majority of Ghanaian students attend public boarding schools, many of which are highly competitive; there are only half a dozen international private secondary schools in the country, collectively graduating about 300 students a year and offering the IB or A-level curricula. ach student also takes three or four Elective subjects, chosen from one of seven groups: Sciences, “Arts” (social sciences and humanities), Vocational (visual arts or home economics), Technical, Business, or Agriculture. The secondary school transcript should contain a letter or percentage grade for each subject, for each of three terms, for the three (four) years of senior secondary school, equivalent to the tenth through twelfth (thirteenth) grades. Students’ Term Reports (report cards) contain rank in class for each subject as well as grades for classwork and end of term exams. The grading system is tough: 80-100% is usually an A, a grade rarely awarded. At the end of Senior Secondary/High School (twelfth/thirteenth grade), all students take the West African Senior Secondary Certificate Examination, or WASSCE, (SSCE through 2005; WASSCE beginning in 2006) in each of their seven or eight subjects. These exams are given nationwide in April-June each year, but the results are not available until the following August. Grading is exceptionally tough: 4% of grades are A’s, and while 80% of grades are passes, only 53% of grades are credit passes of A1-C6. C’s can be quite competitive grades. The minimum university standard for admission to post-secondary education is a ‘C-’ average on the SSSCE or WASSCE, with credits (A-D or A1-C6) in all subjects. U.S. universities should not admit Ghanaian students who have not attained at least this level. Students are expected to retake exams in subjects they have failed. Colleges should require a photocopy of the WASSCE Statement of Results bearing an original signature and stamp from the headmaster or headmistress, as well as the transcript. You are strongly encouraged to verify these documents at source, through the West African Examinations Council’s online system at www.ghana.waecdirect.org. The student provides you with a PIN number that they purchase for the equivalent of $3 (available at post offices or WAEC regional offices), that is used to retrieve a printable copy of their WAEC results. This is the fastest and most reliable way of verifying a student’s results from Ghana. All results from all WAEC exams dating back to 1993 can be verified through WAECDirect. University Education: Ghana’s tertiary institutions enroll over 300,000 students in undergraduate, graduate, certificate and diploma programs in a full range of academic and professional fields. The National Accreditation Board (www.nab.gov.gh) lists 140 accredited institutions, both public and private, offering four-year degrees as well as two and three-year diplomas, which are not equivalent to Bachelor’s degrees, but undergraduate transfer credit can be awarded. Twenty-six percent of tertiary students are enrolled in private institutions. Ghanaian university admission is highly competitive, especially in fields such as medicine, engineering, law, business and pharmacy. The quality of education is considered reasonably high, evidence that human resources are more significant than material resources. In an effort to attract international enrollment, all Ghanaian universities operate on a modular, semester system. The University of Ghana is committed to 10% international population and attracts significant numbers of American students, as well as students from Africa and Europe. The United Nations University operates several programs on campus in fields of health and development.